A few years ago, before I had made my final decision as to whether or not I would move to Italy permanently, I decided to spend some time here to see how I would manage day to day life alone. 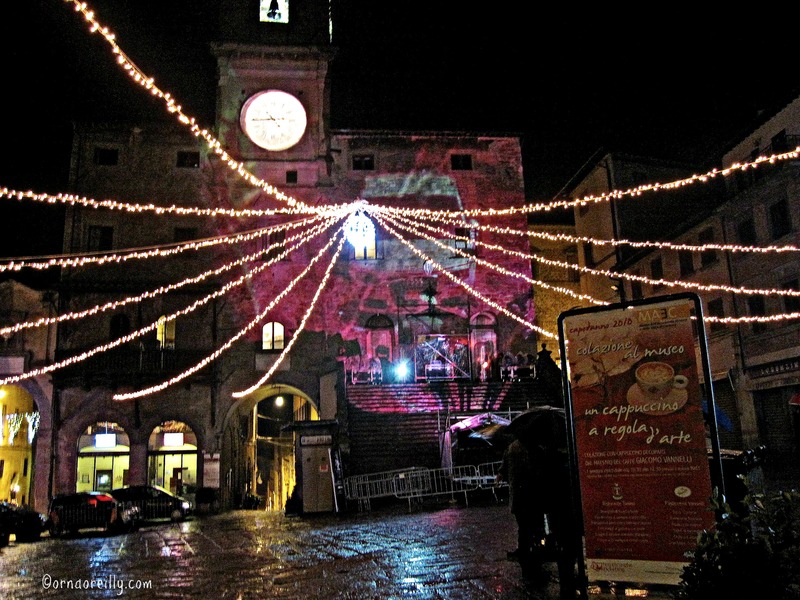 After much research on line, I decided to rent an apartment in Cortona, Tuscany, in both high summer and in the dead of winter, for two weeks each time on an experimental basis. Arriving by train from Rome, I moved into a very pretty apartment in a little alleyway just off the main square: Piazza della Repubblica. The apartment had two tiny terrazzini (terraces) looking out over the piazza where I had a bird’s eye view of all the comings and goings from my little wrought-iron table and chair. 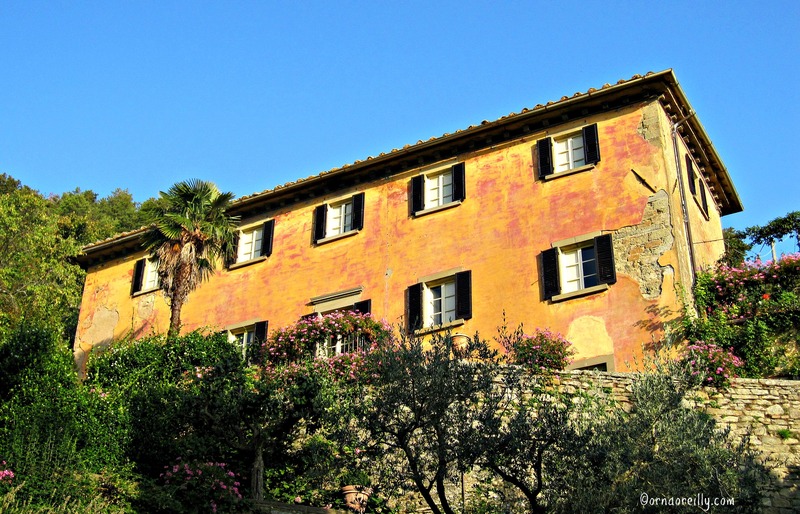 Of course, now that I live in Italy permanently, I realise that renting a holiday apartment and actually living La Dolce Vita as a resident are two entirely different things, but at that point I was convinced that I was going for total immersion in the Italian lifestyle. Cortona is a fascinating town, and over the space of the four weeks I stayed there, exploring all its nooks and crannies, I grew attached to it and its great cultural heritage. It is a walled town with many entrances. Also, it is chock-full of beautiful churches, unfortunately not all of which are open to the public. Some of them will turn on their internal lighting for the small price of a Euro placed in a slot outside the front door. You can then peer through the glass doors at all the treasures displayed within, until your Euro runs out. Being a daily walker, my perfect walk took me along Via Nazionale, through the park, along a narrow uphill road, past the mellow old house, Bramasole, so familiar to those of us who have read the Frances Mayes book “Under the Tuscan Sun,” on to Torreone, where I would turn left and continue to the church of Santa Margherita. Pausing at the summit to admire the stunning view, I would then head steeply downhill past the Stations of the Cross and back to my apartment via the pasticceria, (pastry shop), where I purchased my well-deserved fresh cornetto (Italian croissant) filled with apricot jam. Religious art is an interest of mine and whose paintings could possibly be more interesting to view than those of Fra Angelico and Luca Signorelli? I visited the Diocesan Museum several times to wonder at these fabulous works of art. 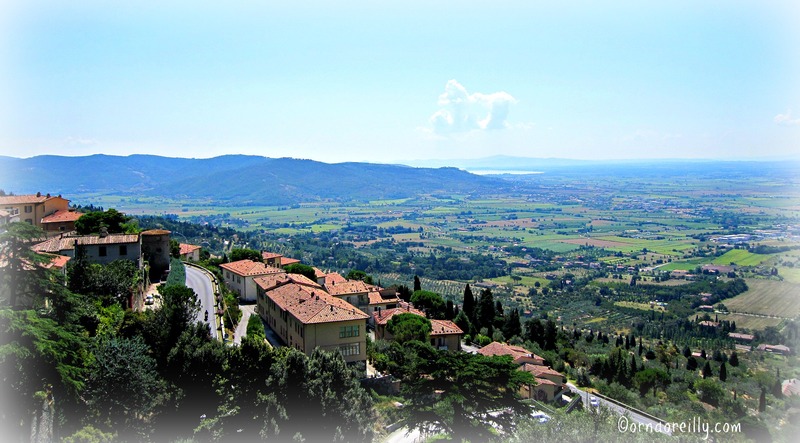 The countryside round about Cortona is beautiful and mellow, the town itself having stunning views over the Valdichiana towards Lago di Trasimeno. During my four weeks, spread over two visits, I found it easy to visit Assisi, Arezzo, Pienza and Montepulciano as a day-tripper. The first of my planned two-week visits was in high summer when it was hot and there were many tourists. The second of my “Life in Italy” visits was spent just after Christmas and over the New Year, which was pretty interesting. As I wandered the narrow streets, I felt like had returned home. My little apartment was cosy, with a completely different feel now that the air conditioning was turned off. Though the weather was pretty cold, my morning walks were invigorating and on only one occasion was it too wet to venture out. Whereas I had been walking before 07.00 during high summer, my winter walks commenced at around 09.00 when it was bright and the day had warmed up slightly. The New Year was wet, wet, wet. I had planned to watch the festivities in Piazza Repubblica as the Palazzo Comunale (town hall) had been decked out in lights and a band-stand had been erected. Having looked at the rain and felt the cold, I decided to tuck myself up in bed with a book and slept through the New Year, opening my eyes briefly when the sound of fireworks echoed around the town. Those of you who follow my blog posts know by now that I ended up living in the Veneto. 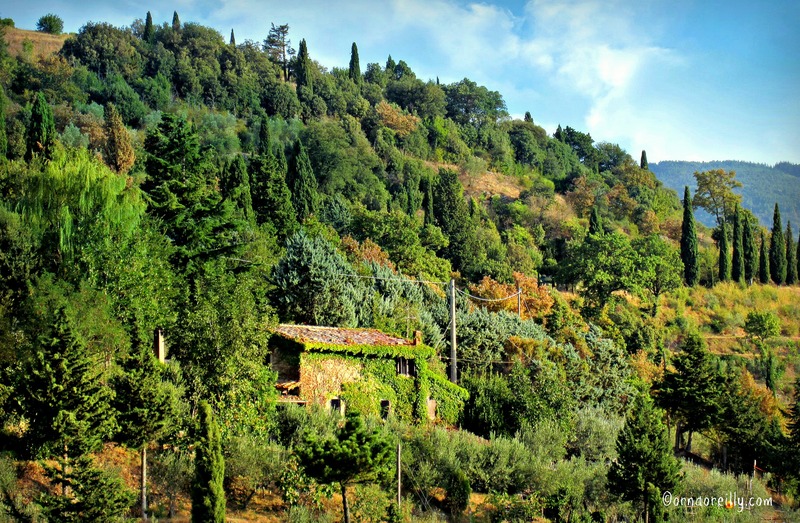 Tuscany was always a possibility, but the right property never seemed to be available at the opportune moment. But those four weeks in Cortona remain forever lodged in a happy place in my memory. 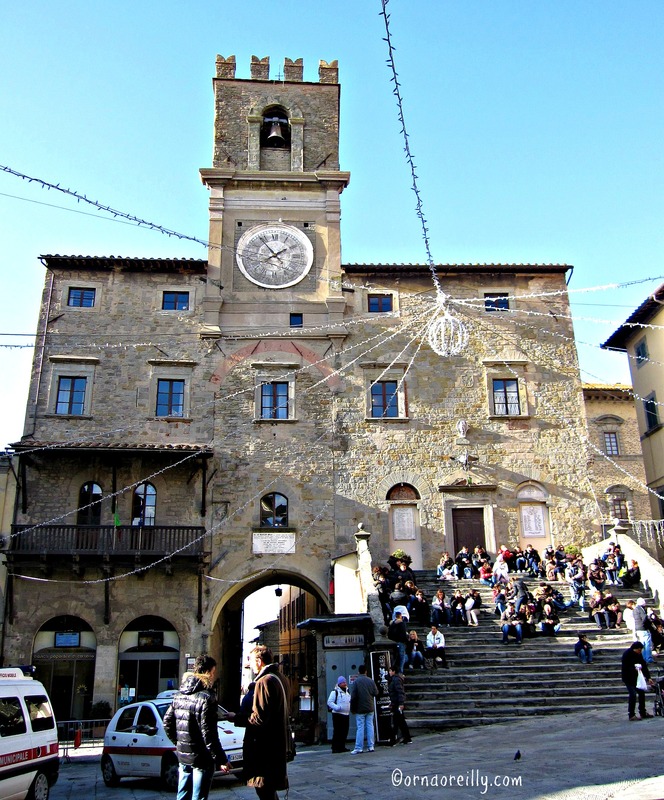 In this very in depth article about our territory you can find nice and updated picture of Cortona. Enjoy! 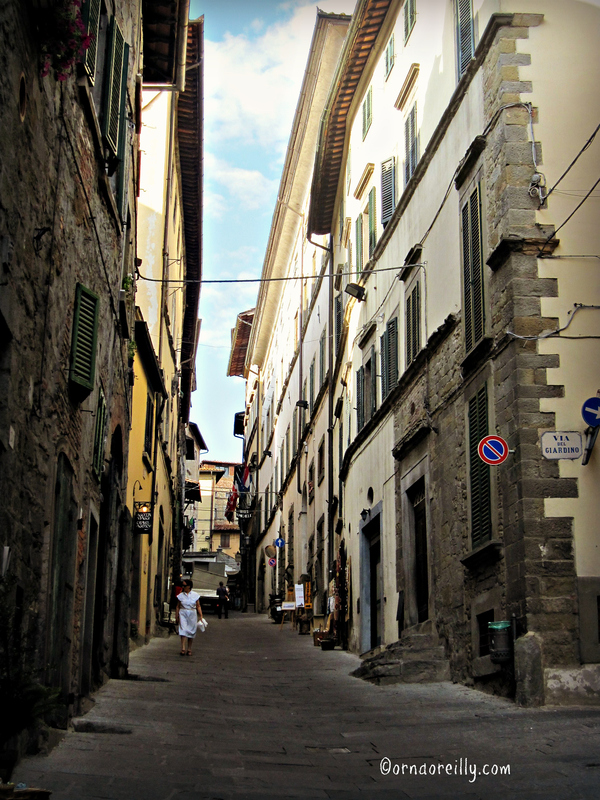 I’ve visited Cortona some years ago but I haven’t seen all these charming places. Thank you very much for bringing back sweet memories. 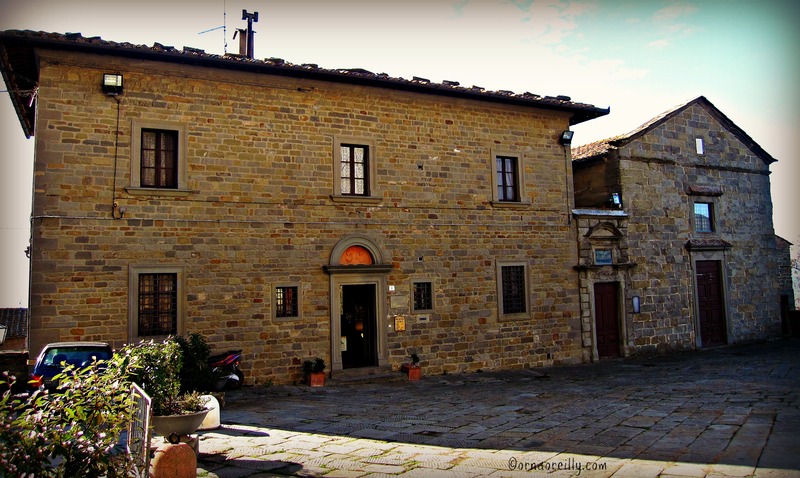 A lovely Tuscan town and ranks in my top favorites for Tuscany! Thanks for the feedback. I absolutely love Tuscany and Cortona is a magic place. Orna — Under the Tuscan sun would be nice, but under the Veneto sun ain’t too shabby. Nice narrative and photos. I would like to do the same as you did one day. Could you tell me how expensive it is to live there? Did you speak fluent Italian before you went. Really enjoyed your blog Orna. We’ve had day trips to Cortona a few times and toiled up the stations of the cross in the broiling sun and on a crisp March day. The last time we sat outside a bar watching the world go by. We’re planning to move to Umbria as soon as possible to the Lago Trasimeno area and look forward to being able to visit whenever the fancy takes us. A beautiful area indeed Helen. I love those little towns around Lake Trasimeno too. Good luck with your house-hunt. An arduous process, but it’s all part of the journey. Orna, amazing photographs, what a beautiful place to live, something beautiful to explore each day as you walk about. Well done on living your dream, always knew you would make it happen. I really enjoy your blogs, always full of interest and wonderment. Cathy…. from windy West of Ireland with a turf fire burning brightly giving off that unique aroma that only an Irish turf fire can! Very nice post and photos! What a wonderful time you had in Cortona…I am a walker too so I can feel your enthusiasm for getting out and about every morning. Thank you so much for this walk down memory lane. In the summer of 1991, I stayed in Ossaia for a couple of months to work on an archaeological excavation. We spent lots of time in Cortona, this was before Francis Mayes had made the place famous, and therefor felt like even more of a treasure. I saw a Tracy Chapman concert up on top of the town in the graveyard – no doubt you walked up there. I also have fond memories of an osteria of sorts run by three sisters – that’s maybe what it was called – just off the Piazza Republica getting warm meatballs in marinara, sliced cheese, and sauteed mushrooms, all to pile high on a loaf of their bread for delicious picnic anywhere around town. I have so many other wonderful memories that came flooding back: Lake Trasimeno; all the neighboring hill towns with their summer festivals…. thanks to this wonderful textual and visual account. Grazie millie! I just did the very same thing but in Piedmont, first renting an appartment for period of 8 days to 2 months, coming over from Belgium. But as winter is less funny I stayed too much in Belgium and never really found out what winter evenings, no lights on the small roads means. However being so close Cherasco is more social compared to Barbaresco, my today’s location. However Barbaresco is less social, less open one to another, less willing to put up events among competitors. It is only 18kms of difference but a complete other mix of psychological and social idendities. 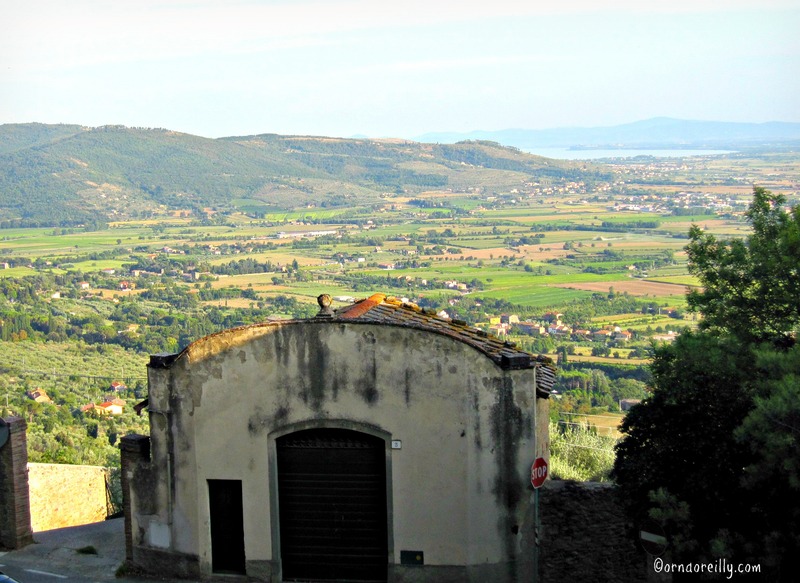 Orna, really enjoyed reading your story of your time in Cortona. 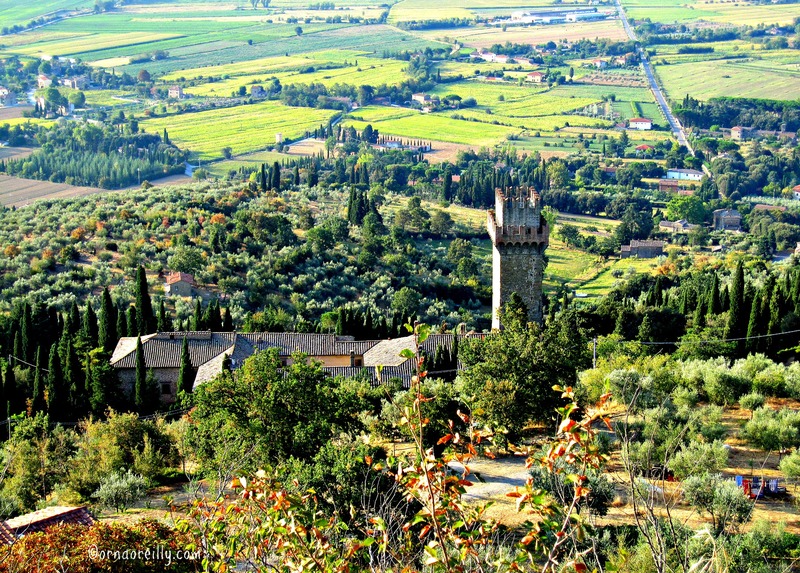 We live in Centoia , 10 kms from Cortona after moving here last July from Australia. We absolutely love the life changing experience and, like you, are continuing to explore the area with wide eyes and total enjoyment. We have made many new friends, Italians, Americans, English and a new Irish friend. I think that’s what we love the most, our international friendship group. We are living In the countryside for the first time ever, with 45 olive trees and lots of garden to establish. We love the country life and can’t believe how the beauty of the country continues to amaze us. Winter here was a first for us Aussies,never quite experienced cold like this before but enjoyed our cosy little house with the wood fire. Glad it’s over though!!!! Think I might start a blog myself as I enjoy reading others experiences living abroad. Thanks for the read. Grazie Mille. Ciao. 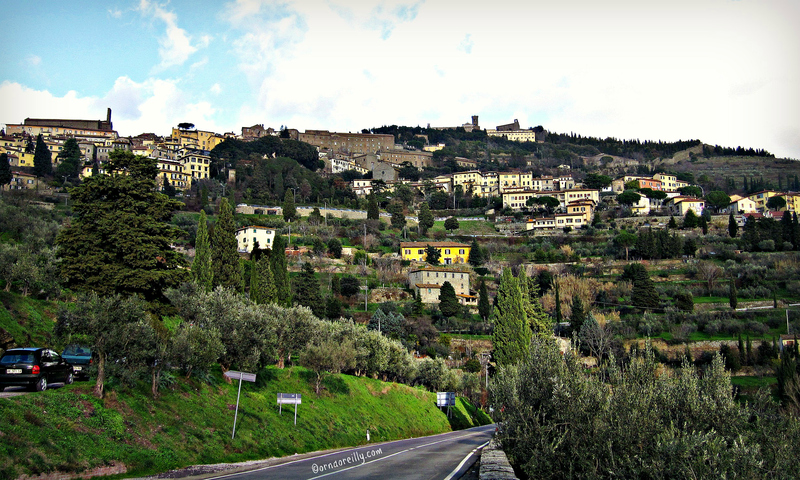 Enjoyed the beautiful shots of Cortona and surrounding area. 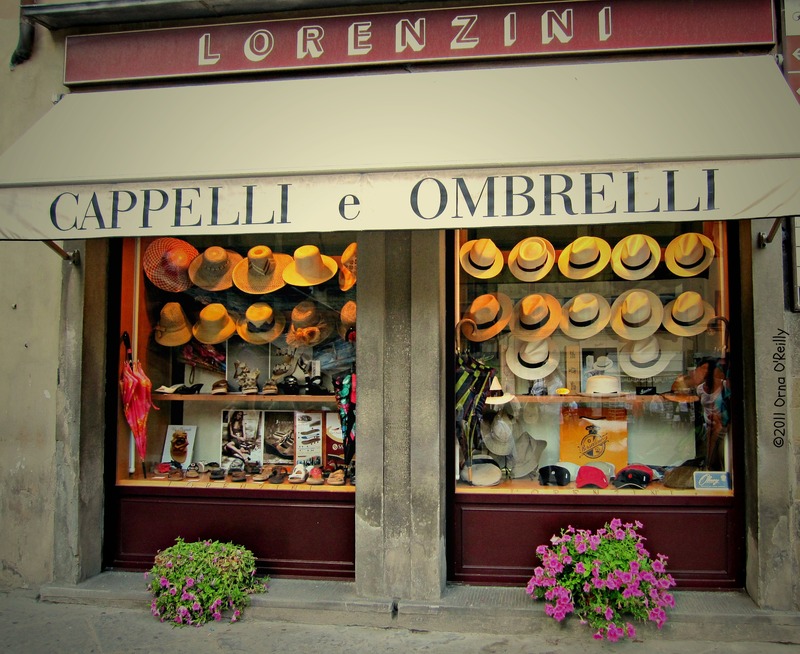 Did you ever make it to Cortona’s next-door neighbor, Castiglion Fiorentino. It’s the birthplace of Roberto Benigni and the home of Oratorio San Filippino! Thank you for your kind comments about my photos. I passed by Castiglion Fiorentino on the train on my way to Arezzo one day, but I thought it looked lovely. Next time for sure! Very nice, beautiful photographs and interesting to read some of your backstory. I must say, though, that it takes me a lot longer to feel at home in a place. Even when I’m renting an apartment, I have trouble moving a knickknack, no matter how much it gets in my way. And I suddenly get very superstitious with the religious objects. Padre Pio and last Easter’s palm branch stay where I find them! Being alone in a little one bed apartment in Italy for the first time was quite exciting. It was even my very first visit to an Italian supermarket! I felt quite overwhelmed by every new experience. Then when I returned six months later, it was as if to an old friend. It was an important first step for me in my quest for a life after my hoped for retirement to Italy. I will never forget how I felt. Now I am perfectly at home in Puglia and would never consider leaving Italy. Once I got past all the red tape involved with the reality of actually living here full time, I knew I had made the right choice. Difficult pulling up roots and leaving ones homeland at retirement age, but it seems to have worked out well. I completely understand – the first time I was on my own shopping in Italy, it took me 3 trips to the grocery store just to find the eggs and my Italian was already very good. It just never crossed my mind to look on the non-refrigerated side of the aisle that people kept directing me to. I had to finally get someone to take me by the hand to find them. (We refrigerate our eggs in the U.S., by the way.) On another note, from the outside looking in, you seem to have taken your big move completely in stride and you appear to be part of the Italian fabric. Congrats!